Farina King, a citizen of the Navajo Nation, is Assistant Professor of History and affiliated faculty of Cherokee and Indigenous Studies at Northeastern State University, Tahlequah, Oklahoma. She received her Ph.D. at Arizona State University in U.S. History. 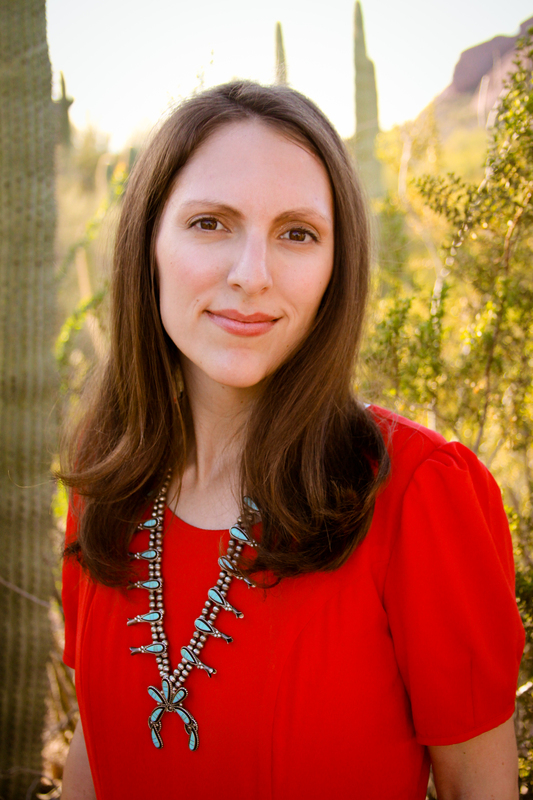 King specializes in twentieth-century Native American Studies. She is the author of The Earth Memory Compass: Diné Landscapes and Education in the Twentieth Century. 54th Conference of the Mormon History Association, “Isolation and Integration,” June 6-9, 2019, Salt Lake City, Utah. Donate to the MHA Graduate Student and International Scholar Fund through the MHA website. 2019 Meeting of the American Society for Ethnohistory, State College, Pennsylvania, September 25-29, 2019. 2019 International Conference of Indigenous Archives, Libraries, and Museums, Pechanga Casino & Resort, Temecula, California, October 8-10, 2019. Oral History Association Annual Conference with the Southwest Oral History Association, “Pathways in the Field: Considerations for those Working In, On, and Around Oral History,” October 16-19, 2019, Salt Lake City, Utah. 2019 History of Education Society Annual Meeting, Columbus, Ohio, October 31-November 3, 2019. 2019 National Council for the Social Studies, Austin, Texas, November 22-24, 2019. 2020 Organization of American Historians Annual Meeting, Washington, D.C., April 2-4, 2020. 2020 Berkshire Conference on the History of Women, Genders, and Sexualities, Johns Hopkins University, Baltimore, Maryland, May 21-23, 2020. “Learning My Heritage Language as a Scholar: Connecting with Community through Diné Bizaad” (invited keynote talk), Saturday, April 13, Visions Conference, Northeastern State University. “Working with the ‘Missing Pieces’ John Hair Cultural Center and Museum Exhibit Design,” Wednesday, April 10, 2-2:50 pm, UC 223, Farina King with Ernestine Berry and NSU Student Presenters Midge Dellinger, Lindsey Chapman, Dillon Morris, and Larry Carney. “Resisting Conformity: Indigenous Women and the Pursuit of College Education,” Friday, April 12, 1-1:50 pm, UC 222, with Jennifer Talerico-Brown, Alicia Nevaquaya, and Russell Lawson. “Generations of Women Healers: Reflections from a Life Career in American Indian Health,” Friday, April 12, 1-1:50 pm, UC 224, with Phillip L. Smith. “Indigenous Women at Texas Christian University: Presence, Absence, and Portrayal,” Friday, April 12, 3-3:50 pm, UC 222, with Scott Langston, Shara Kanerahtiiostha Francis-Herne, Farina King, Theresa Gaul, and Jessica Martinez. Region 6 Oklahoma National History Day Competition, April 2, 2019, Northeastern State University, Tahlequah, Oklahoma. “Finding Yourself in Academia: A Diné Historian’s Experience,” Distinguished Guest Speaker Invitation, University of Iowa Graduate History Society, March 29, 2019, Iowa City. “Exploring Silences of Family History: My Diné and New Mexican Ancestors,” invited talk for the Indian Territory Genealogical and Historical Society, 7 pm, March 25, 2019, John Vaughan Library, Northeastern State University, Tahlequah, Oklahoma. The Earth Memory Compass Book Talk, March 7, 2019, University of Central Oklahoma, Edmond. Oklahoma Regional Conference of Phi Alpha Theta and Oklahoma Association of Professional Historians, March 8-9, 2019, Cameron University, Lawton. “Doctrine of Discovery Repudiated- Now What?” Winter Talk 2019 conference sponsored by Yakama Christian Mission, February 25-27, 2019, Phillips Theological Seminary, Tulsa. Roundtable on “Learning Indigenous Sovereignty Through Lands and Waters,” 20th Annual American Indian Studies Association Conference, “The Knowledge of Our Ancestors, the Strength of Our Communities,” February 8, 2019, University of New Mexico, Albuquerque. February 6, 2019, “Crownpoint Boarding School Through Diné Generations,” People & Places Monthly Lectures, Center for Southwest Research and Special Collections, University of New Mexico, Albuquerque. January 6, 2019, Roundtable on “Everything You Wanted to Know about Community Engagement (But Were Afraid to Ask),” American Historical Association annual meeting, Chicago. January 3, 2019, “Diné dóó Gáamalii (Navajo and Mormon): Exploring Autoethnography,” American Society of Church History, Chicago. November 10, 2018, Session on “Institutionalizing Emergency: Boarding Schools and the Crises of Colonialism,” conference theme “States of Emergence,” American Studies Association annual meeting, Atlanta. November 2, 2018, Session on “Remembering and Memorializing American Indian Education,” The History of Education Society annual meeting, Hotel Albuquerque, Albuquerque, New Mexico. October 27, 2018, Session on “Understanding Intergenerational Trauma for Indigenous Communities,” 21st Diné Studies Conference theme of “150 Years Later: Acting and Advocating to Empower Our Own Researchers and Healers and Visionaries and Thinkers and Planners and Leaders and Scientists and… Neeznádiin dóo’ąą ashdladiin nááhaigo: Nihidine’é nida’ałkaahígíí, nahałáhí, dahaniihii dóó nitsékeesii dóó naha’áii dóó éé’deitįįhii, doozhóódgóó ba’ahódlí dóó ílį́įgo hiilna’,” Diné College, Tsaile, Arizona. October 19, 2018, Session on “Indigenizing Cityscapes since the Twentieth Century,” Conference theme of “Re-imagining Race and Ethnicity in the West,” Western History Association annual meeting, San Antonio, Texas. October 10-12, 2018, Conference theme of “Oral History in Our Challenging Times,” Oral History Association annual meeting, Concordia University, Montreal, Quebec, Canada. October 9, 2018, Breakfast Conversation, Dartmouth College. October 2, 2018, Session on “Contemporary Topics and Methods of American Indian Boarding School Studies,” The Spirit Survives: A National Movement toward Healing, NABS National Conference, Carlisle, Pennsylvania. September 28, 2018, Intertribal Discussion about Belonging and Identity, University of Texas, Arlington with Native American Student Association. June 14, 2018, “Returning Home: Intermountain Indian School Stories,” Inaugural BYU Indigenous Studies Learning Group public talk, Provo, Utah. June 7-10, 2018, “Homelands and Bordered Lands,” Mormon History Association annual meeting, Boise, Idaho. Donate to the MHA International Scholar Fund through the MHA website. May 19, 2018, American Indian Achievement Celebration, Grand Prairie Independent School District, Texas. Thursday, May 17, 2018, “Native Women Indigenizing Dallas Since the Late Twentieth Century,” Native American and Indigenous Studies Association annual meeting, Los Angeles. April 27-29, 2018, “Elevating Voices: Oral Histories of Resilience and Unity,” Southwest Oral History Association annual meeting, Fullerton, California. April 16-21, 2018, “Walking With Our Ancestors: Preserving Culture and Honoring Tradition,” 46th Annual Symposium on the American Indian, Northeastern State University, Tahlequah, Oklahoma. View the recording of this HawkTalk (April 2018) by clicking this link: Student Stories of Intermountain Indian School. Mother Earth’s sacred nature is a common thread through the spiritual beliefs of Native American tribes across the country. We saw reverence for the land unite diverse indigenous communities at the Dakota Access Pipeline protests and in the effort to preserve Bears Ears in Utah. We explore what it is that so deeply binds America’s original inhabitants to the land. March 2-3, 2018, Oklahoma Association of Professional Historians and the Oklahoma Regional Conference of Phi Alpha Theta, University of Central Oklahoma, Edmond, Oklahoma. “Indigenous Oral Histories in Dallas Inspired by #NoDAPL and Water Is Life Coalition Building,” January 4, 2018, American Historical Association, Washington, D.C.
“Monuments of all sorts are a focal point for debate in America today: whether it’s Confederate War memorials, statues of conquering explorers like Columbus or natural landscapes like the Bears Ears National Monument President Trump recently scaled back significantly. Indian Mascot Cases panel before showing of Kenn and John Little’s film “More Than a Word,” November 17, 2017, American Indian Heritage Month, Northeastern State University, Tahlequah, Oklahoma. See the full listing of NSU American Indian Heritage Month events on the Center for Tribal Studies website. “Connecting the Generations: Indigenous Women Standing for their People and Communities,” November 3, 2017, Western History Association Conference, San Diego. Please watch and share the “Navajo Voices on Bears Ears” panel recording (click on the highlighted link to the YouTube channel of the University of Utah S.J. Quinney College of Law). “Learning and Teaching Women’s Historical Experiences at Northeastern State University,” September 28, 2017, International Gender and Sexuality Studies Conference, Oklahoma City, Oklahoma. See a clip of the “Water is Life” Panel from September 1 through the Tribal Film Festival Facebook Page. “meet” your family and understand a small part of what it meant to be Navajo in earlier times. Thank you again.